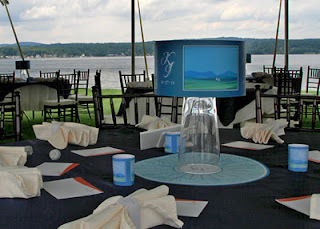 For this wedding, we used the custom artwork provided by the bride, adding the initials of the newlyweds to the custom designed lampshade and place mat located under its vase. 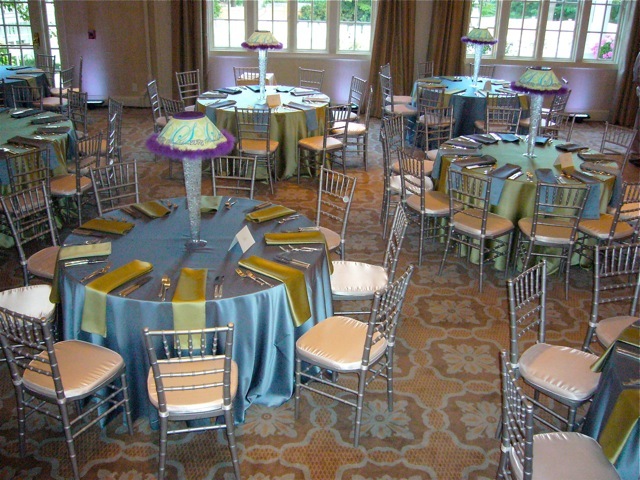 Note the cute little votives that scatter across the table, also printed with the images and details from the large shade. 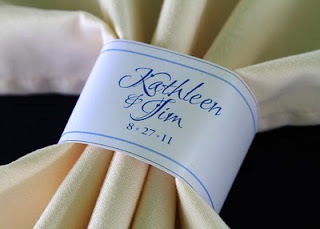 We designed printed napkin rings for a small added detail to the table--an inexpensive and elegant addition. For this Bat Mitzvah we added a purple feather boa to our custom lamp shade, to match colors in the event decor and to contribute a bit of 'glam'. 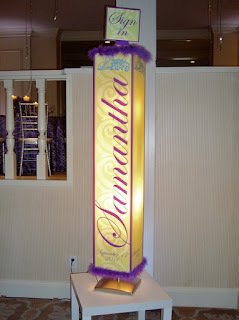 Shade on large vase filled with sparkles. 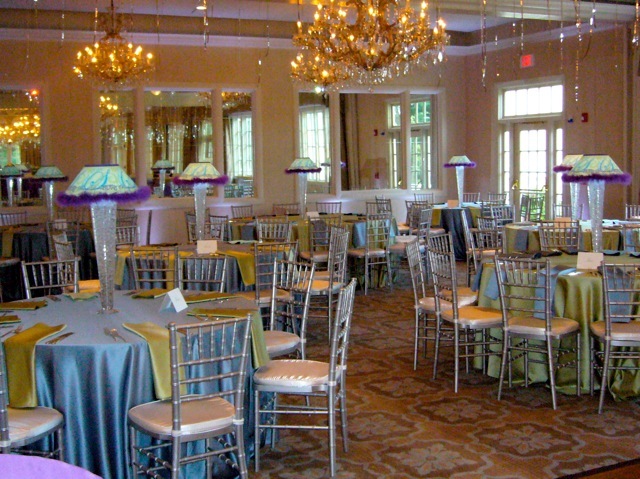 The linens and chair color were used as part of the design in our custom shade, as per client's wishes. We designed a custom lamp shade that was signed by each guest, creating a lasting keepsake for the child's room. 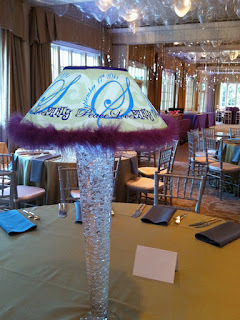 The lamp was situated to greet each guest upon entering or leaving the dining area. For a summer gala in Pittsburgh, to benefit Hopital Albert Schweitzer in Haiti, we created an undulating 3 piece custom lit centerpiece for each table. 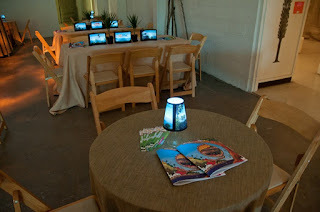 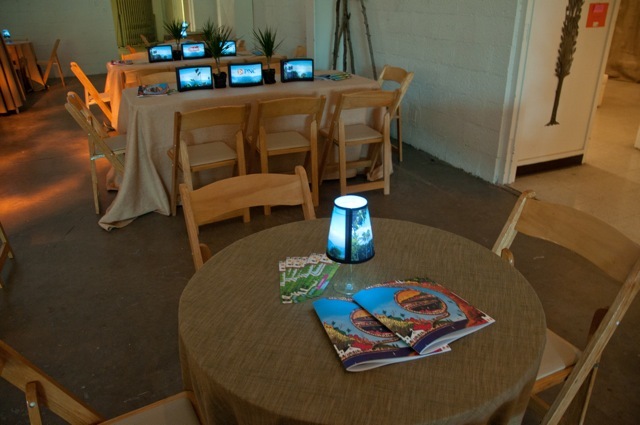 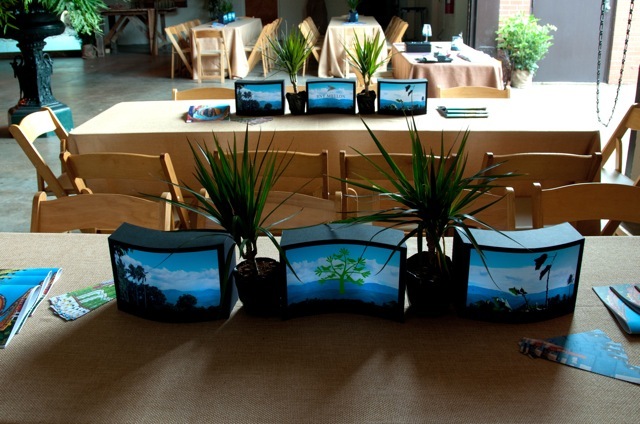 Each curved "tablescape"included a photographs of Haitian landscapes. 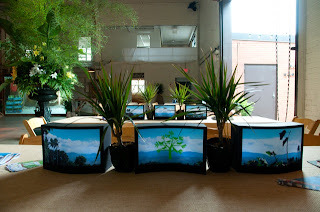 The event coordinator added foliage to mimic plants found in Haiti. We also contributed cocktail table wine glass shades with interior lighting and custom printed photographs.